Can Too are about to kick off 20 and 10 week training programs. Can Too Foundation will kick off its training programs for the Queenstown Marathon and Blackmores 10km Bridge Run this July with ‘pod’ groups around Sydney. An independent health promotion charity dedicated to funding cancer research, Can Too Foundation offers professionally coached training programs for people of all ages and abilities, with qualified, experienced coaches. Participants pay a registration fee for training, and commit to fundraising. Cancer survivor, endurance athlete and Can Too Ambassador Heather Hawkins, who often trains in her home suburb of Coogee, says Can Too is an ideal program for aspiring athletes – or those who just want to have fun. “When I first started training, I had no idea where it could take me. Running has given me such freedom and fitness, and so many adventures with some amazing people. I love seeing the start of someone’s journey, and then seeing their huge smile when they achieve their goal. That’s what Can Too’s training can do – it’s the opportunity of a lifetime training with like-minded people,” said Heather Hawkins. Training for the Queenstown International Marathon will commence on 4 July 2018 on Wednesday nights and on Saturday mornings in the Eastern suburbs, Inner West, North Shore, Northern Beaches, Hills district and at Macquarie Uni. The 20 week fitness program will get trainees race ready for the Marathon on 17 November 2018, which is set between the backdrop of the world renowned Crown and Remarkable mountain ranges on New Zealand’s South Island. Training for the Blackmores 10km Bridge Run will start on 11 July 2018, also on Wednesday nights and Saturday mornings in the same locations as the Queenstown training. 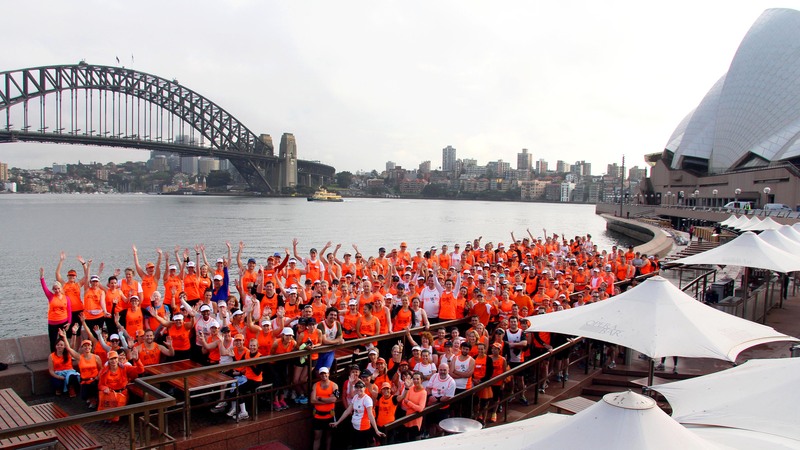 The 10 week program will ensure participants are in peak condition ahead of the Sunday 16th September event, which will see them run across the world famous Harbour Bridge. When: Queenstown Marathon pod launches 4 July, Blackmores Bridge Run pod launches 11 July. Meeting location: At community fitness and sporting locations around Sydney. Visit Can Too’s website for details. Cost: Registration for Queenstown Marathon costs $220, Blackmores Bridge Run costs $120.